MARC GT has confirmed the entry of their BMW M6 GT3 into the Liqui-Moly Bathurst 12 Hour and has locked in a strong driver roster to further boost the campaign. Virgin Australia Supercars Championship star and former Supercheap Auto Bathurst 1000 winner Chaz Mostert headlines the driving squad, having tested the car at Mount Panorama for the first time late last year. Mostert was reportedly right on the pace in his first drive of a current-specification GT3 car and was enthusiastic about the opportunity. The Prodrive Racing Australia driver will be joined by Mackay-based racer Morgan Haber, who is familiar with the team having contested GT Asia rounds in the same car throughout 2016. Haber has also built a solid GT resume’, racing for Erebus Motorsport. Three-time Porsche Carrera Cup Australia Challenge class winner Max Twigg competes the trio, the Victorian bringing fresh BMW M6 experience to the fore having spent the 2016 season co-driving the factory M6 entry with Steven Richards at BMW team SRM. 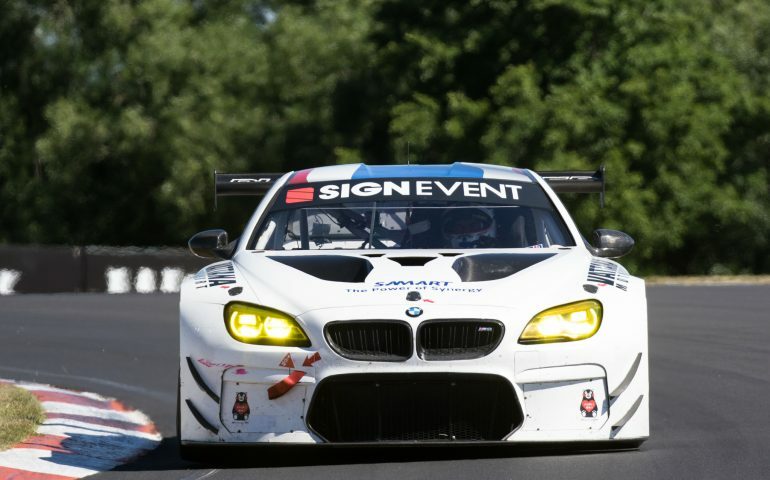 “We’re pleased that this has come together and we have such a strong group of drivers assembled to drive the BMW,” MARC GT’s Ryan McLeod said. “The program has undergone some changes since we tested the car at Bathurst last November but what we will arrive with this February is a very strong team. The team will confirm the major sponsor and livery of their BMW M6 GT3 livery, to be run alongside the team’s existing multi-car fleet of MARC Cars Australia entries in the Invitational class, closer to the event. Camp sites and tickets remain on sale for the Liqui-Moly Bathurst 12 Hour.